One of the main objections to playing football in the middle ages was that it was harmful to the health of the participants. One manor record, dated 1280, states: "Henry, son of William de Ellington, while playing at ball at Ulkham on Trinity Sunday with David le Ken and many others, ran against David and received an accidental wound from David's knife of which he died on the following Friday." In 1321, William de Spalding, was in trouble with the law over a game of football: "During the game at ball as he kicked the ball, a lay friend of his, also called William, ran against him and wounded himself on a sheath knife carried by the canon, so severely that he died within six days." There are other recorded cases during this period of footballers dying after falling on their daggers. In 1531 the Puritan preacher, Thomas Eliot, argued that football caused "beastly fury and extreme violence". Whereas the Welsh author, George Owen wrote that "the gamesters return home from this play with broken heads, black faces, bruised bodies and lame legs." In his book, Anatomy of Abuses (1583) Philip Stubbs claimed that ""sometimes their necks are broken, sometimes their backs, sometimes their legs, sometimes their arms, sometimes one part is thrust out of joint, sometimes the noses gush out with blood... Football encourages envy and hatred... sometimes fighting, murder and a great loss of blood." However, there were some people who thought that football was good for the health of young men. Richard Mulcaster, the headmaster of Merchant Taylors' School, wrote in 1581, that football had "great helps, both to health and strength." He added the game "strengtheneth and brawneth the whole body, and by provoking superfluities downward, it dischargeth the head, and upper parts, it is good for the bowels, and to drive the stone and gravel from both the bladder and kidneys." In the 19th century several people argued that football had the potential to improve the health of the working-classes. In 1881 Sir Watkin Williams-Wynn, MP for Denbighshire, argued: "Much has been said of the British spending their time on drinking... These kinds of sports... keep young men from wasting their time... after playing a good game of football... young men are more glad to go to bed then visiting the public house." Lionel Holland, a member of the Conservative Party, represented Bromley-by-Bow in the House of Commons. In 1897 Holland argued that football "gave us a whiff of the health and vigour of country life which no other sport could do in the crowded metropolis." Some doctors disagreed about the health benefits of football. In an article published in The Lancet on 22nd April 1899 it was claimed that playing football posed a serious threat to the long-term health of the participants. The article pointed out that the main danger to health posed by the game was when one player charged another who was trying to head the ball: "To smash cruelly into him and knock him over unnecessarily and perhaps savagely is clearly a brutality which is permitted by the rules." Archie Hunter who played for Aston Villa between 1878 and 1890, claimed that the health of footballers often suffered because of playing football: "He (Yates) caught a severe cold on the field and died within a few days. That is how so many players collapse. They play in all sorts of weather during the most inclement part of the year; in the struggle they get tremendously hot and if there are not proper provisions for changing their clothes and having a bath, they run the most fearful risk." Hunter himself suffered a heart-attack while playing a game and was forced to retire from football but died soon afterwards at the age of 35. Ernest Needham, the captain of Sheffield United and England did a lot to promote football in schools. In 1902 he published a coaching manual entitled Association Football. He pointed out: " We all know that accidents will happen in the best regulated of sports (even pedestrians are not free from them); but accidents of a serious or fatal nature are very rare considering the thousands who play, and it is questionable whether the percentage does not compare favourably with those of other pastimes." Needham then added that risking danger was all part of being English: " What Englishman with an ounce of pluck will not brave danger? See the coal-miner in the case of an explosion, railwaymen in collisions, sailors on the sea, soldiers in battle. Would those men shirk a pastime because it was fraught with danger? They would not. It is characteristic of them to brave dangers." The main concern was over heading the ball. In 1872 the Football Association decided that the football should be cased in leather. On wet days the ball grew increasingly heavy as the leather soaked up large amounts of liquid. This, together with the lacing that protected the valve of the bladder, made heading the ball both painful and dangerous. 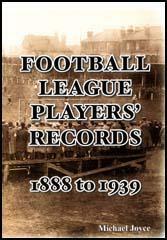 Several men have died while playing professional football in Britain. 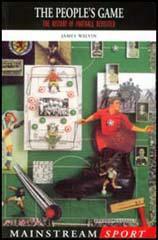 This has included Joseph Powell (1896), Di Jones (1902), Thomas Blackstock (1907), Frank Levick (1908), James Milne (1909), Bob Benson (1916), Tom Butler (1923), Sam Wynne (1928), John Thomson (1931) and Jimmy Thorpe (1936). As pointed out by The Encyclopedia of British Football: "On wet days the ball grew increasingly heavy as the leather soaked up large amounts of liquid. This, together with the lacing that protected the valve of the bladder, made heading the ball not only unpleasant but also painful and dangerous." A large number of football players in the past have suffered long-term brain damage because of repeated heading of a heavy, wet ball. Stan Cullis, the Wolves and England centre-half was knocked unconscious during a game against Everton in the 1938-39 season. He suffered severe concussion that required intensive medical care. His doctors warned him that another serious concussion could kill him. A couple of years later a tremendous shot hit him in the face. Once again he suffered from severe concussion and was on the danger list for five days. He was warned by a doctor that because of his previous head injuries, even heading a heavy leather football could prove fatal and despite now being England's captain, Cullis decided to retire from playing game. In his later years, Cullis, like many footballers from this period, suffered from dementia. In 2002 a coroner said it was likely that the death of former West Bromwich Albion centre-forward, Jeff Astle, had been caused by "repeated small traumas to the brain". 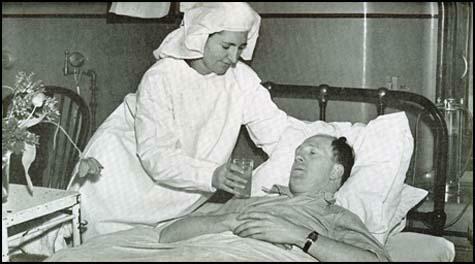 Stan Cullis recovering from concussion after a match against Middlesbrough in 1947. Jackie Milburn was once given intensive heading practice by England manager Walter Winterbottom, who reckoned his heading ability to be his one weakness. Milburn later recalled: "Anyone who has ever headed a heavy leather-case ball with its attached lace will know exactly just how much it can hurt. By the end of the fourth day I was suffering from nasty headaches." Research carried out by D. R. Williams in 2002 concluded that repetitive mild head trauma over the course of an amateur and professional footballer's career may increase an individual's risk of developing dementia in later life. Former players who have suffered from this disease include Joe Mercer, Bob Paisley, Ron Greenwood, Bill Shorthouse, Peter Broadbent and Malcolm Allison. Willie Hall once scored five goals for England in a game against Northern Ireland. His career was brought to an end by an injury and poor health. In 1945 Hall had to have his right-leg amputated. The following year thrombosis meant he had to have his left leg removed. As Tommy Lawton pointed out: "What a tragedy it was that Willie should lose both his precious legs, the legs that had thrilled us all in football for many a year." Derek Dooleywas an outstanding football prospect. On 14th February 1953 Sheffield Wednesday played Preston North End. As the football journalist Brian Glanville pointed out: "At Deepdale, the Preston North End ground, he was pursuing a long pass from the clever little Albert Quixall, knowing that the advancing goalkeeper, George Thompson, was more than likely to get there first. In the event, Thompson crashed into Dooley just as he made contact with the ball, breaking the centre-forward's leg in two places." After nine weeks in Preston Royal Infirmary, it was discovered that he had gangrene. It seems that he had been infected through a cut sustained before the collision. Dooley was operated on and as he later recalled that when he regained consciousness he discovered that his right leg had been amputated "six inches from the top because the gangrene had already reached my knee joint and beyond". At the age of 23 Dooley's football career was over. He had the impressive record of scoring 64 goals in 63 games. Recently there has been concerns about the possible connections between motor neurone disease (MND) and professional football. In 2007 Ammar Al-Chalabi, a neurologist at King's College Hospital called on the Football Association to investigate whether the sport contributed to MND. It was pointed out that Don Revie, Jimmy Johnstone and Rob Hindmarch had all died of the disease. Several top Italian footballers have also suffered from MND. This includes Gianluca Signorini, Adriano Lombardi and Stefano Borgonovo. Italy's foremost expert on the condition, Adriano Chio, has shown that professional footballers in the country are seven times more likely to develop MND than others. He discovered that 41 players had suffered from MND since 1973. According to one theory, motor neurone disease might be linked to pesticides used on football pitches. Others suggest it could be a result of performance enhancing drugs, the treatment used to combat physical injuries or repeatedly heading the ball. We all know that accidents will happen in the best regulated of sports (even pedestrians are not free from them); but accidents of a serious or fatal nature are very rare considering the thousands who play, and it is questionable whether the percentage does not compare favourably with those of other pastimes. How to prevent them no hard and fast rule can be set down. They will occur in the simplest fashion at times, when on another occasion the player would have come off scot free. It is wonderful how many silly people there are who debar themselves from participation in the game through this score; and it is sheer nervousness. The man who declared that some people would scarcely go to bed because so many people died there annually may have been guilty of exaggeration, but he was not far wide of the mark after all. When a player has the misfortune to meet with an accident (or, still worse, when one is killed) there is an outcry from the opponents of the game. Well, it is the true Englishman's love of danger which, rightly or wrongly, impels him to take part in a pastime in which there is a certain amount of risk; and the more risk, the more eager he is for the fray. It is only the "namby-pambys" who delight in drawing-room games. We should not have such heroes as Nelson, Wellington, and many others, if they had not "faced the music," so to speak. What Englishman with an ounce of pluck will not brave danger? See the coal-miner in the case of an explosion, railwaymen in collisions, sailors on the sea, soldiers in battle. Would those men shirk a pastime because it was fraught with danger? They would not. It is characteristic of them to brave dangers. He was about to be discharged after nine weeks in hospital when he jokingly asked a nurse to autograph his cast. Playfully, she began to tickle his toes, noticed with alarm that there was no reaction, confirmed that he felt nothing, and called a doctor. It transpired that gas gangrene had been moving up the leg, which had seemingly been infected through a cut sustained before the collision. There was now a four-month break until the next international, when England would face the Auld Enemy at Wembley on 1st April 1949, which for Dad meant that he 'was, for a time at least, spared the worries of thinking I'd be dropped'. However, Dad once more found himself selected to pilot the attack against Scotland, something he had dreamed about since he was just a lad. Once more, the team stayed and trained at Brighton, though this time Dad (Jackie Milburn) found himself subjected to four days' intensive shooting and heading practice by manager Walter Winterbottom, who reckoned Dad's heading ability to be his one weakness. Dad had mixed feelings about this regime: "Anyone who has ever headed a heavy leather-case ball with its attached lace will know exactly just how much it can hurt. By the end of the fourth day I was suffering from nasty headaches. But I reckon my skill improved somewhat." A study reports on three amateur football players from the same league who developed Motor Neurone Disease (MND) simultaneously. Researchers have suggested that the risk of developing MND is likely to involve a combination of a wide variety of genetic and environmental risk factors, perhaps occurring years before the onset of symptoms. Currently MND is an under funded disease. More research needs to be carried out to determine the causes of MND and to contribute to the eventual eradication of a cruel and fatal disease that kills more than 1600 people in England, Wales and Northern Ireland annually. A study of three local footballers, who all developed the same rare neuro-degenerative disease, has prompted calls for more funding for research into the link. The three men, carpet fitter George Pearce of Wash Common, electrician Graham Hodgetts (pictured with trophy) of Thatcham and builder and carpenter Sam Brown of Kingsclere all played amateur football in the same league on the same football pitches for some 15 - 20 years each, and in later life developed MND (Motor Neurone Disease). It was through the condition - which currently has no known cure - that they were reunited at the Charles Clore Macmillan Day Therapy Unit in Newbury. George Pearce and Graham Hodgetts died in the same weekend in the summer of 2005. The study, conducted by Kings College London, was carried out after researcher Paul Wicks of Wokingham attended a meeting of the West Berkshire MND Association. "Many people who get MND are not couch potatoes," says Dr Paul Wicks, a neuropsychologist from King's College, London. "Genes do play a part in determining how well someone is going to do at sport so this does throw open the question: "Does that same genetic make-up make people more prone to motor neurone disease?"" Dr Wicks found out about the cases of the three amateur British footballers Sam Brown, Graham Hodgetts and George Pearce after being approached by one of the men's wives at a local talk about the disease. She told him the three men played football for local teams in neurone the Newbury and Basingstoke leagues twice a week from when they were teenagers until they were in their 40s. The three men were fit until they were diagnosed with a form of the disease known as amyotrophic lateral sclerosis in their early 50s. Sam, 63, is now in a wheelchair and unable to talk while Graham and George died on the same weekend in July 2005. Dr Wicks and Dr Ammar Al-Chalabi, senior lecturer in neurology at King's College, London, had interviewed the men and have written a paper that has just been published in the medical journal Amyotrophic Lateral Sclerosis. They are calling for the Football Association to assist by giving them access to former professional players' medical history. "What makes the case of these three men so unusual is that MND neurone disease? is not a common disease," says Dr Al-Chalabi. "It normally only affects two out of every 10,000 people in the UK. Yet these men played on the same pitch together. "It could be just a fluke but the odds are quite long on that and my gut reaction is that there is something unusual about them. "Whether the connection is football we cannot say as they had many things in common and all lived close to each other." Several theories have been put forward to explain why the incidence among footballers and other sportsmen is so high. "The first is that being sporty means you have a certain type of gene that make you more likely to develop MND," says Dr Al- Chalabi. "The second is related to pesticides on the football pitch or the chemicals used to paint the white lines. "It might be that when a player gashes his leg and careers across a line or bashes into a ball, then he may at the same time get an injection of chemicals and pesticides into his bloodstream which somehow triggers MND. "The third theory is that injuries that commonly occur on pitch, or the trauma caused by repeatedly heading the ball, is to blame. "However this is less plausible as motor neurone disease affects all the nerves in the body not just those localised to the head. "The final theory is that there are factors related to a footballer's lifestyle, such as smoking and drinking." MND is caused by the death of motor nerves, the nerves that connect the brain and muscles to prompt movement. From the moment a baby is born these nerves start to die off at a rate of a million a day without ill effect. However, in someone with MND the nerves die off much more quickly which leads to the inability to walk, talk or swallow. The mind, though, is unaffected and sufferers become locked in a useless body. Eventually the motor nerves that help push air in and out of the lungs become affected, which is what often leads to death. Diagnosis can take up to a year as there is no conclusive test for MND and confirmation of the disease is made by the disease's progress. The average life expectancy for someone with MND is five years. Why Italian footballers should be so vulnerable is baffling the experts. “Some say it could be due to doping, but if that’s the case then why aren’t other sports similarly affected?” said Paolo Zeppilli, the Italian national team’s doctor. Meanwhile, Guariniello said that inquiries had been made about cycling, basketball and volleyball, but in those sports “not a single case emerged”. Other European countries, including Britain, are taking note. Spain says it knows of no cases among its footballers and French doctors also were unaware of any link between football and the disease, but note that mysterious “clusters” of sufferers have occurred at different times in different parts of the world. “In Chicago 11 victims were found in the same building and we have never even begun to understand why,” said Vincent Meininger, one of France’s leading neurologists. Wicks, a neuro-psychologist who runs PatientsLikeMe, an online support group for people suffering from a number of neurological conditions including MND and Parkinson’s disease, believes that there may be an “athletic gene” that makes people more vulnerable. He said an American study had found that a disproportionate number of sufferers had played sports at university level. “It is probably a combination of genetic predisposition and environmental factors,” he said. The Italian magistrate, whose interest sprang from an inquiry into illegal doping in the country’s top league – Serie A – in the late 1990s, has ordered stadium groundsmen to be questioned about pesticides used over the past 50 years. He has sent investigators to victims’ bedsides to reconstruct their careers with a special emphasis on the injuries they might have sustained, the drugs they took and the fields they played on. Italian players are understandably concerned.